Need a break from the cold? 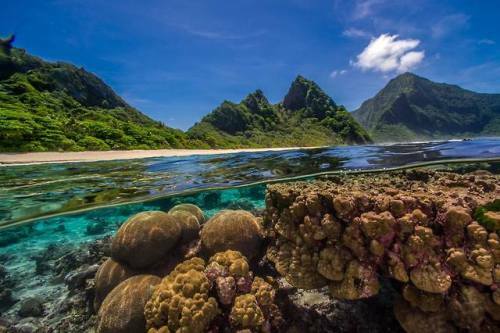 National Park of American Samoa is… – Sig Nordal, Jr.
February 18, 2018 February 18, 2018 Sig Nordal, Jr. Need a break from the cold? National Park of American Samoa is the place for you. The quintessential tropical paradise, National Park of American Samoa welcomes you into the heart of the South Pacific where you will discover rare plants and animals, coral sand beaches, and vistas of land and sea. When you aren’t snorkeling, enjoy a walk in the sand or relax in the shade along this quiet and remote beach. Doesn’t it sound like a dream getaway? Photo by National Park Service.